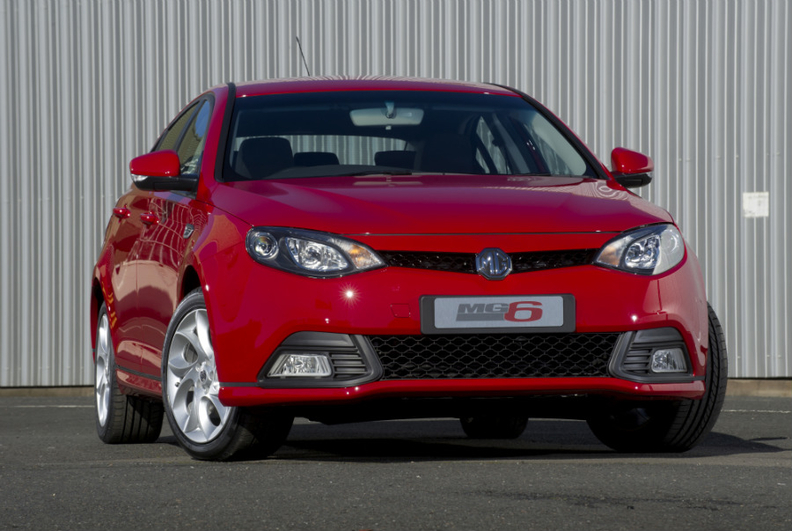 MG expects MG6 sales to rise now that it offers the car with a 1.85-liter diesel. LONGBRIDGE, England -- Despite numerous stumbles, Chinese-owned British brand MG Motor aims to match Kia's quick rise in Europe by also focusing on design. "In terms of product and competitiveness I'd say we're not very far away [from Kia] already," MG vice director of design Martin Uhlarik told Automotive News Europe. "In five years we'll be well on our way." Uhlarik, a former Nissan design executive who is now based at MG parent Shanghai Automotive Industry Corp.'s European headquarters in Longbridge, central England, said that MG has the same design culture as Kia. The Korean automaker has invested millions of euros to establish design and r&d centers in Germany to better meet the demands of European car buyers. Kia also has been growing fast in Europe since making former Audi design head Peter Schreyer its styling boss in 2004. Another key to Kia's rise was the opening of car, engine and transmission plants in eastern Europe. MG has its British heritage to build its brand on, something that an unknown such as Kia didn't have. However, IHS Automotive Senior Analyst Ian Fletcher believes MG will struggle to match Kia's success unless SAIC is willing to invest in all parts of the business. "Kia [and Hyundai] have invested a great deal in marketing, sales networks and creating this positive brand image, which I can't see SAIC being prepared for," Fletcher said. "I really don't see them being able to get anywhere near where Kia is now by the end of the decade." Through 10 months, Kia's European sales are up 24 percent to 299,476 vehicles compared with last year, according to JATO Dynamics. MG has sold less than 1,000 cars in the UK, which is the only market where the brand is available. 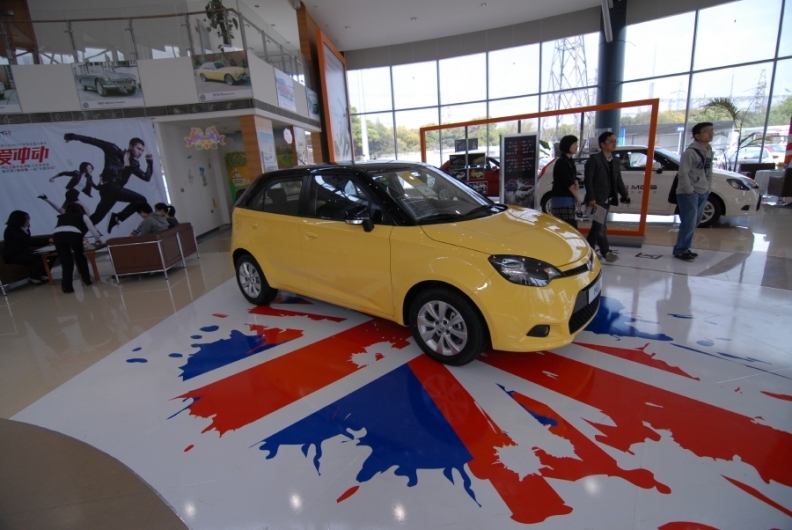 The MG3, shown in a Shanghai showroom, will go on sale in the UK, the Benelux and Scandinavia starting next year. MG delayed starting sales outside the UK because of weak demand for its first car in the UK, the MG6. At first, the mid-sized model was only offered with a gasoline engine. This move flopped because the segment is dominated by diesel-powered versions of cars such as the Volkswagen Passat and Ford Mondeo. MG now offers the MG6 with a 1.85-liter diesel engine, which was developed in-house, and plans to start selling the car in the Benelux countries and Scandinavia starting at the end of 2013, which is a year later than planned. Starting next year, MG's lineup also will include the MG3 subcompact, with the MG5 compact due in 2014, followed in 2015 or 2016 by a compact crossover to rival the Nissan Qashqai. A city car is also being planned but the company declined to give a timetable for its arrival. Starting next year, final assembly of the MG3 will be added to the company's plant in Longbridge, England. The factory already completes the MG6 using bodyshells, engines and powertrains shipped from SAIC in China. SAIC inherited the plant through its 2007 merger with Nanjing Automobile, which had bought the site after MG Rover, Britain's biggest carmaker, went bust with the loss of 6,500 jobs. MG sales and marketing head Guy Jones said the Benelux countries and Scandinavia were chosen as the brand's first European markets outside the UK because "they're small, easy to control, and the cost of entry and the support required is controllable." Cars will be sold via importers who Jones says have had success in the past by adding upstart Asian brands. "A lot of these guys have built their business up by acquiring the Japanese franchise when they came in, the Koreans when they came in, so they've been researching the Chinese market for a number of years now," he said. "They see us as the one to have." Appealing to European customers is key to SAIC's global ambitions for the company, said David Lindley, managing director of the Chinese company's global r&d headquarters, which are also in Longbridge. "The first two priorities in terms of developing MGs have been China and Europe," he said. The reason is because success in Europe is considered a strong selling point for the brand in China, where MG sells about 90,000 vehicles a year. "If you just sell MG as a domestic brand then it's worth less in the Chinese market than if you also sell a car that's competitive in Europe," Lindley said. "What it does mean there's going to be quite a lot of patience in growing the European business."